> Family > Back to school can be great! Notebooks, glue sticks, markers, and colored pencils are taking over your stores aisles, it’s Back to School! Were you one of those people who absolutely loved back to school shopping? I was. All that potential and anticipation. Lots of families have back to school traditions including first and last day of school photos, special breakfasts and family activities for the last night before school starts. My family wasn’t one of them though. The school supply trip was our only “tradition.” I was delighted to find out that Germany has this wonderful national tradition of Schultüten (school cones) which are given to students on their very first day of school from my German teammates here at Travall. They had such lovely stories to tell. Our German Marketer Anne even offered to share a photo from her first day of school! 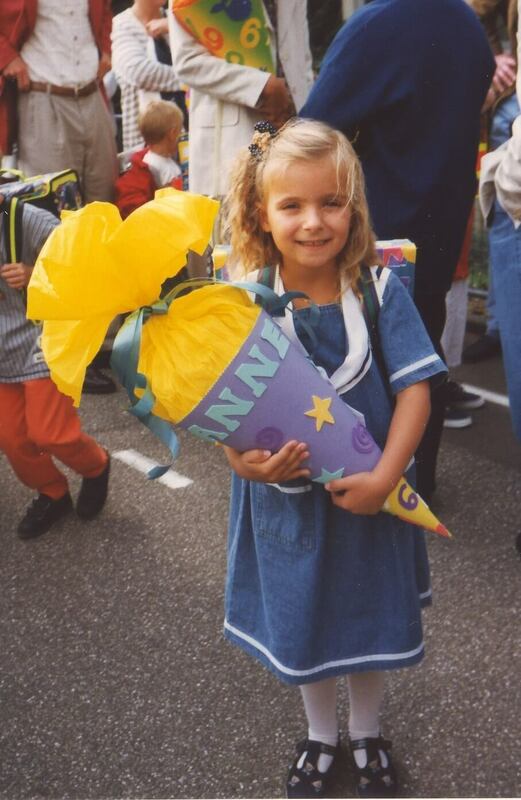 Anne with her Schultüte, made just for her by her mom, on her first day of school. It’s a large (many are nearly as big as the kid) cardboard cone that’s decorated and filled with toys, chocolate, candy, school supplies and other fun things. They make the first day of school a little less scary and a lot more fun! 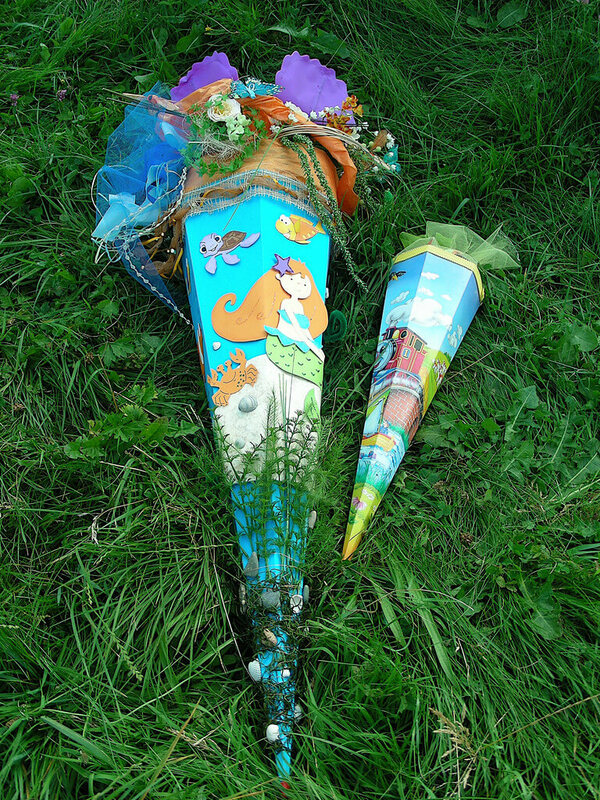 Parents, grandparents or other family members often make the Schultüte themselves and fill it with the child’s favorite things. A couple of Schultüten, one for a child’s first day of school and another for their sibling. Photo by Kristina D.C. Hoeppner on Flickr. If you want to make your own Schultüte we found this fantastic tutorial on 2 boys + 1 girl = One Crazy Mom. Melanie, the blogger, is German herself and wanted to make sure her American kiddos had the same first day of school experience that she did. If I had kiddos, I would be making these myself! They look like a lot of fun and who wouldn’t love a small gift to make your first day of school even better?